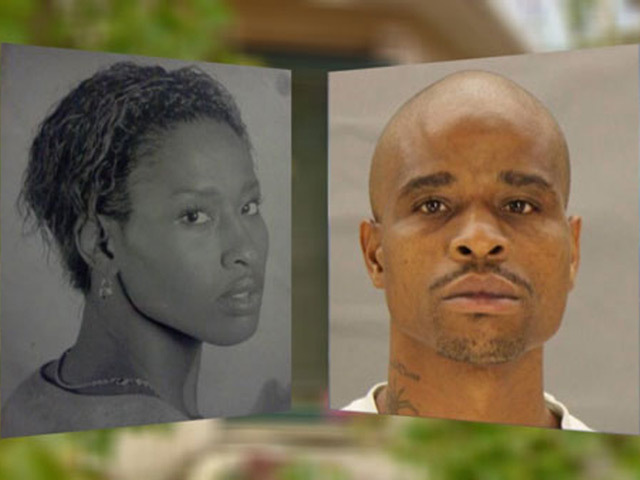 (CBS/AP) DALLAS - Dallas police are investigating why Deanna Cook's body wasn't found in her apartment until two days after she called 911 as she was allegedly being attacked by her ex-husband, CBS affiliate KHOU reports. "I could just hear how loud she was screaming," said Cook's sister, Karletha Gundy, who overheard part of the 911 recording at police headquarters. "I couldn't hear what she was saying, but I know she was screaming for her life." The call reportedly lasted about 11 minutes. Delvecchio Patrick, Cook's ex-husband and alleged attacker, can be heard in the background saying he's going to kill her, KHOU reported. Cook even calls Patrick out by name. Police said the 32-year-old Cook called 911 Friday from a cellphone, but the operator didn't get her address and a search took about nine minutes before police arrived at her southeast Dallas home. They knocked on the door and got no response, checked the windows, saw nothing and left. According to KHOU, police arrived at Cook's apartment only knowing that they were responding to a domestic disturbance call. Few details were provided to them, and the operator reportedly never relayed that Cook was being attacked. Cook's family said they called 911 again on Sunday, because water was pouring out of Cook's home and all the doors were locked. They wanted an officer to check the house. "The lady said, 'Before we can send an officer out to check, you need to call the hospitals and the jails,'" Gundy said. The family knocked down the door themselves on Sunday. They found Deanna Cook dead in her bathtub. Police arrested the 35-year-old Patrick and charged him with murder. "I can say that it's obvious that there was an active disturbance taking place, the screaming and things like that, so I can't say that I knew what was going on, other than there was a disturbance," the operator said in an interview with the Dallas Morning News. "Obviously my prayers go out to her family, because that's just a terrible situation." Police declined to release the 911 tape but said they're investigating to see if there was a communication failure.